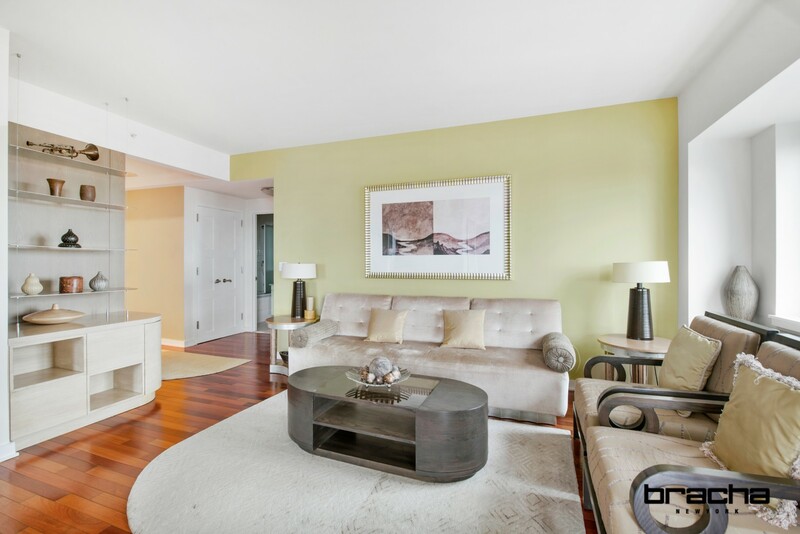 An Urban Oasis with Breathtaking Views - Two Bedroom Two Bathroom Corner Unit on High Floor. 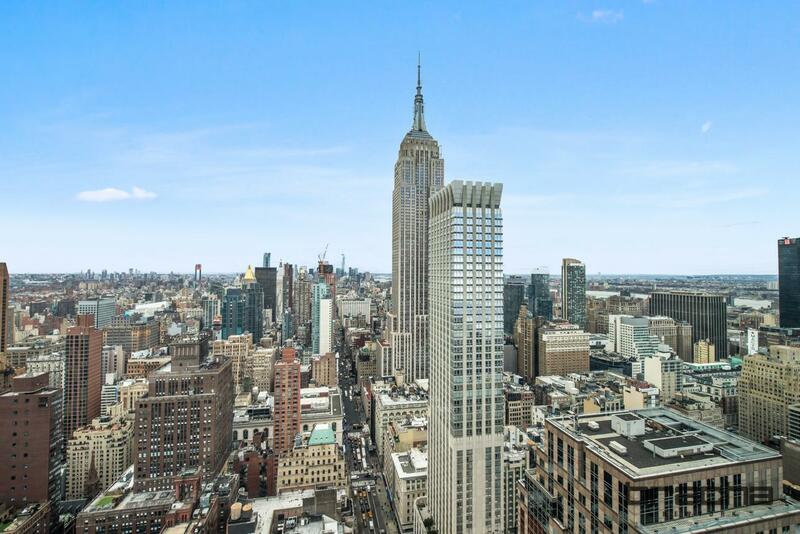 This one of a kind 1,315-square-foot fully furnished residence boasts breathtaking open city views, river views as well as Empire State Building, Bryant Park and Freedom Tower views. 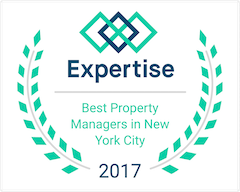 The apartment is located on the tower floors of a full-service, luxury Midtown condominium building. Two separate high-floor elevators service this unit. 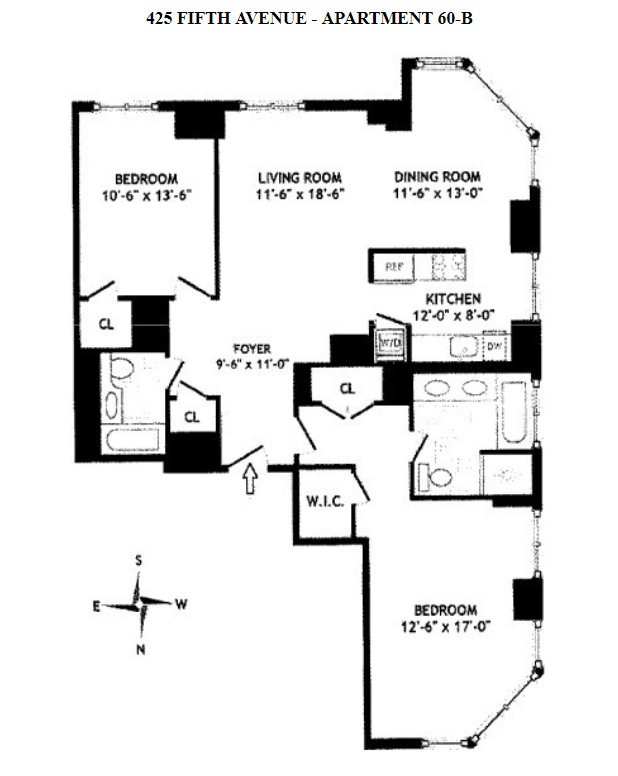 The unit shares the floor with one other apartment. 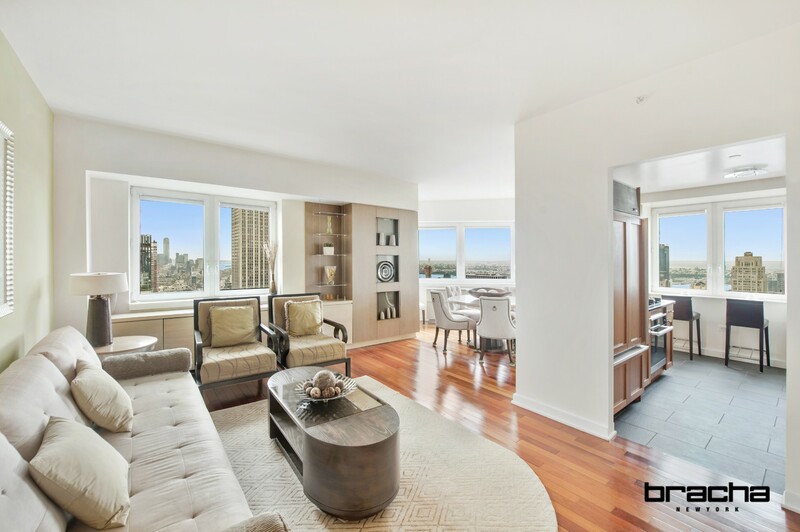 The unit was originally the model unit for 425 Fifth Ave, designed by acclaimed architect, Michael Graves and decorated by the Chapman Design Group in Canada. 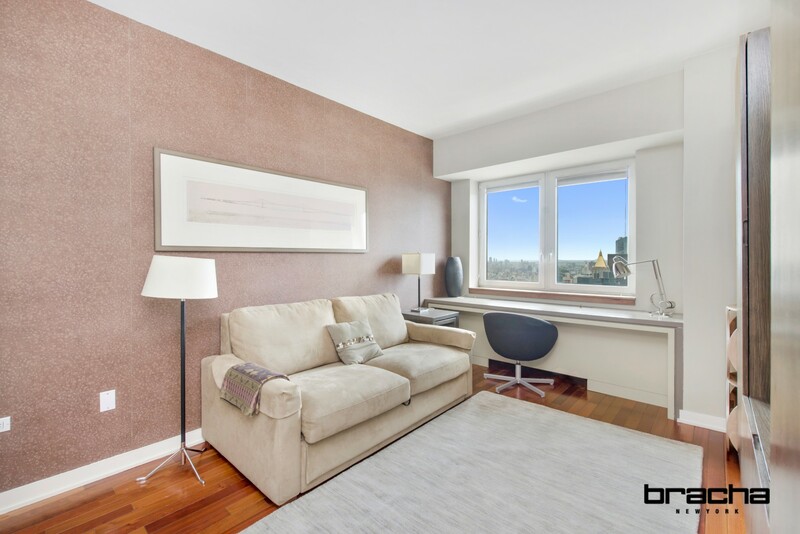 With two bedrooms and two bathrooms this apartment features hardwood floors, 9-foot ceilings, custom doors, ample closet space, and an in-unit Bosch washer/dryer. 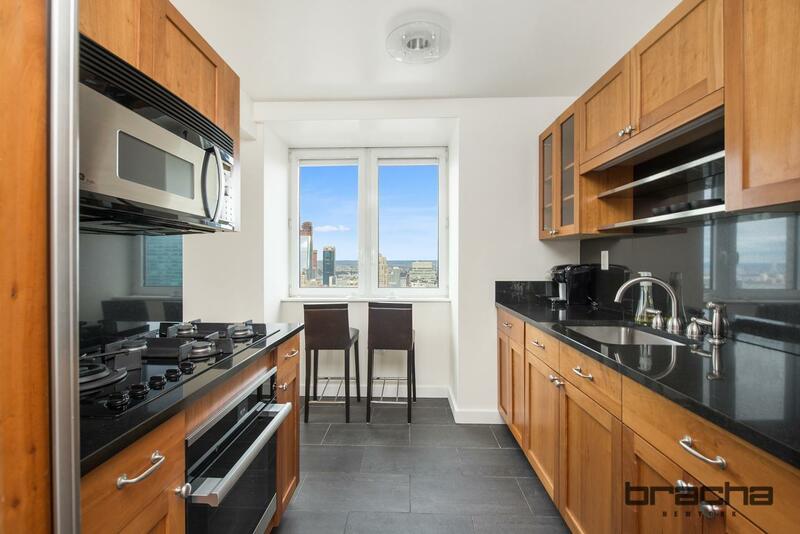 The windowed kitchen includes cherry wood cabinets, Miele stove and dishwasher, Sub-Zero refrigerator, and black granite counter tops. The marble bathrooms feature Italian tiles and Dornbracht faucets. 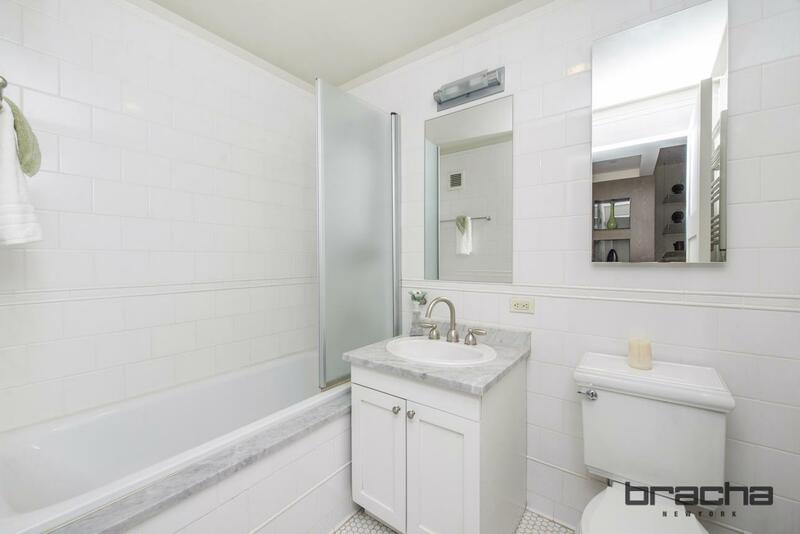 The master bath also has a soaking tub and a Vismara Vetro shower. 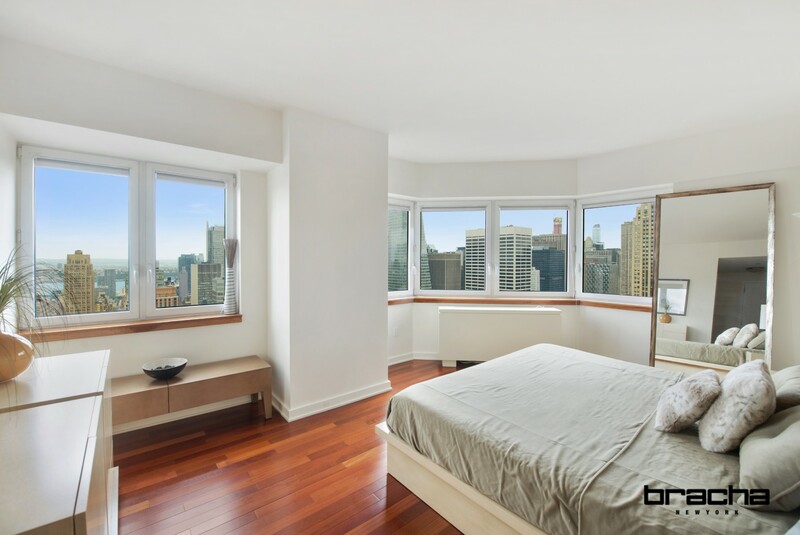 With southern, western and northern windows, this apartment receives an abundance of light throughout. 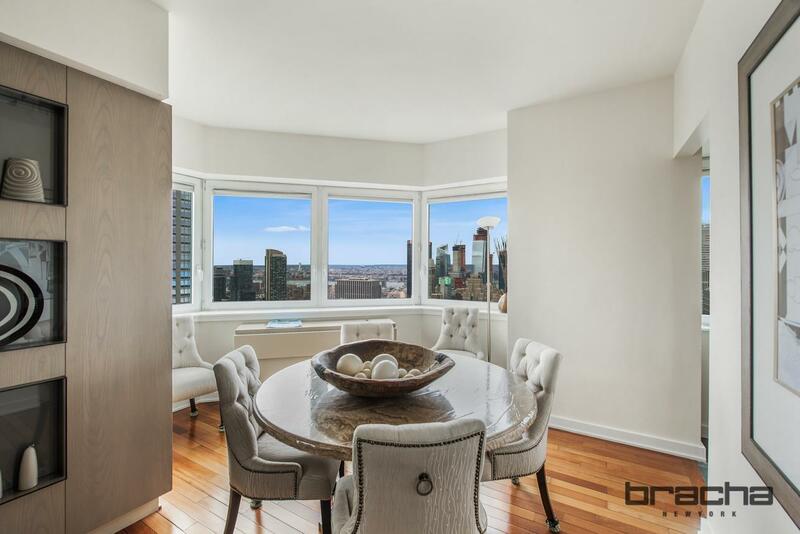 The sale of this apartment will include the designer furniture. 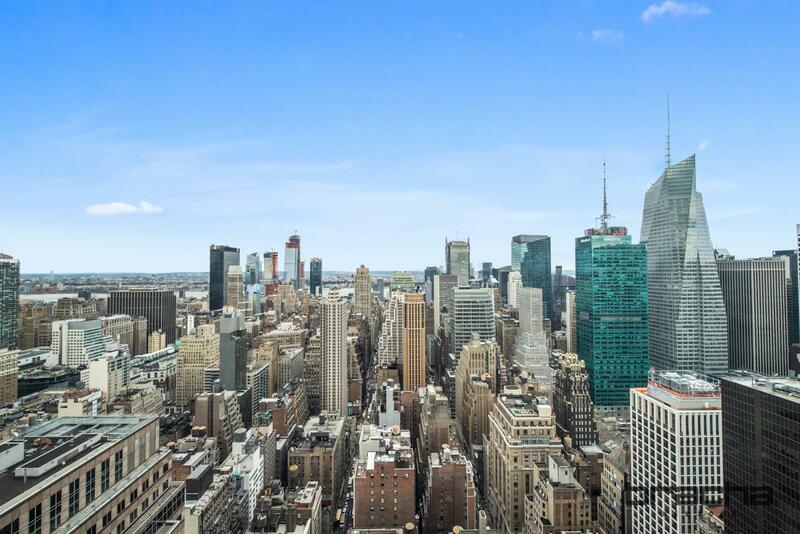 425 Fifth Avenue features a variety of amenities including a wraparound sun terrace, a private cinema screening room, a resident social lounge, a business and conference center, a Techno gym, and 24-hour concierge and doorman. 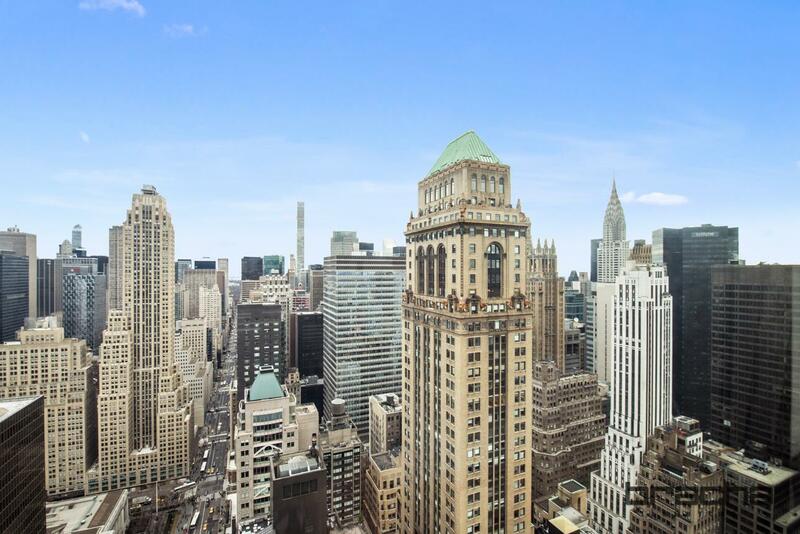 Centrally located near Bryant Park, Grand Central, Main New York Public Library, and Theatre District.